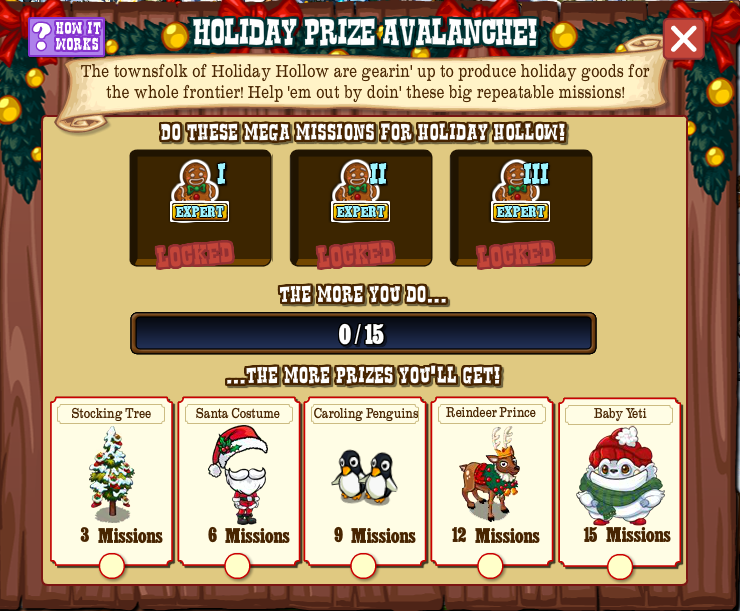 Holiday Hollow: The Prize Avalanche! 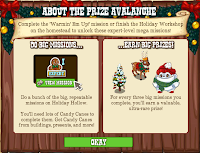 There's some very special prizes to be won by completing optional repeatable missions in Holiday Hollow and the Homestead, the missions will appear when you either complete the Holiday Workshop on your Homestead or complete Warmin 'Em Up in the Hollow. The three missions will show up in both areas and be activated from the Hollow. 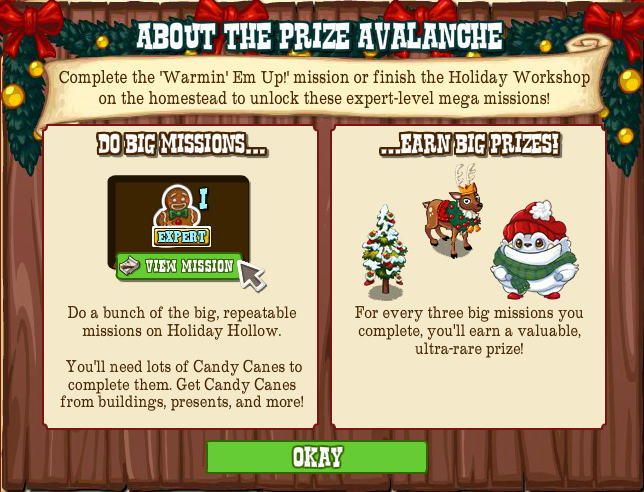 Each mission, which requires those Candy Canes you've been gifting around, will get you one step further to the rewards, which are given out each time you complete the three mission thread.